Hamilton will race a specially modified Ford Focus RS as he competes with cerebral palsy. The cars will be shaken down in mid-February before the Motorbase team heads to Spain for an intensive testing schedule ahead of the 2019 campaign. ROKiT, Hamilton’s new Title Sponsor, is a telecommunications company launching its glasses-free 3D-capable Android smartphones in the UK and US later this year key innovations is glasses-free 3D, enabling people to experience the ever-growing library of 3D content. Unlike other mobile brands, ROKiT goes further than standard talk, text, and entertainment bundles. Its ROKFLiX 3D app and unique lifestyle package, ‘ROK Life Services’ includes vehicle breakdown, recovery and Home Start, plus lost or broken key cover and worldwide Personal Accident insurance. In addition to handsets, ROKiT is working internationally to develop smart cities and is currently rolling out public Wi-Fi across 27 of India’s largest cities, with a vision to create smart cities in 10 other countries in the next 3 years. ROKiT’s innovative mesh Wi-Fi network provides communities with better, faster and more cost effective connections. ROKiT is scheduled to launch in both the US and UK in Match 2019. Bartrum said: “I’m looking forward to Nic joining us in the BTCC. He brings a different type of journey for us to go on with him. He also brings with him a steely determination, a willingness to learn and a craving to succeed. “From what I’ve of Nic so far his approach is very professional and I would defy anyone to spend five minutes in his company not to be inspired by him. Hamilton will join former BTCC Independents Trophy winner Tom Chilton and Ollie Jackson in the three-car Motorbase Performance team. 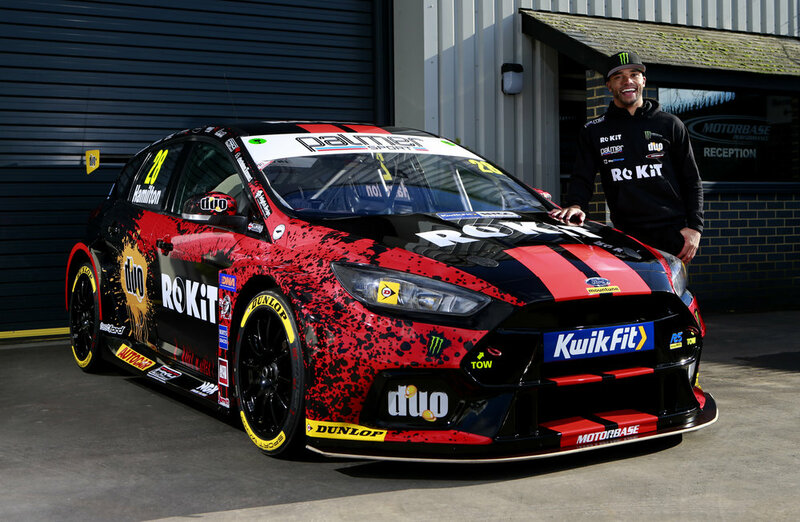 The new Kwik Fit BTCC season kicks off at Brands Hatch in Kent on April 6/7 and the entire race days are broadcast live, free-to-air, in the UK on ITV4.